New (and pricey) hepatitis C medicines, such as Harvoni and Sovaldi, are living up to their promise and greatly reducing patients’ odds for liver cancer and death, a new French study finds. The advent of this class of drugs “has led to almost universal cure of chronic hepatitis C infection,” said Dr. David Bernstein, chief of hepatology at Northwell Health in Manhasset, N.Y. 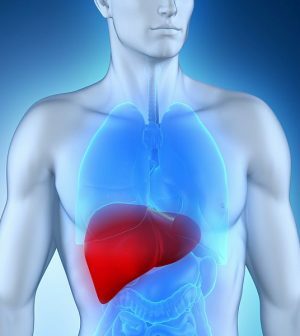 According to background data in the study, about 71 million people worldwide have chronic hepatitis C infection, which can cause debilitating or fatal illnesses such as cirrhosis, liver disease and liver cancer. Over the last 15 years, these complications have tripled and it’s predicted that they’ll peak between 2030 and 2035, the researchers said. About three-quarters of the patients were treated with the newer class of drugs, called “direct-acting antivirals,” while the other one-quarter were not. Direct-acting antivirals work quickly — over a course of about three months — to push liver-damaging hepatitis C virus to undetectable levels in patients’ blood. “We saw a reduction of risk for complications related to the disease, and to mortality, and believe this treatment should be considered for all patients with chronic hepatitis C infection,” lead researcher Fabrice Carrat of Sorbonne University, Paris, said in a journal news release. “While prices of hepatitis C therapies have decreased significantly in the U.S. over the past four years, making them affordable to most patients, access to these life-changing and -saving medications remains difficult amongst certain patient groups,” he said. “Certain states have imposed restrictions on their availability based upon extent of liver damage, presence of sobriety, and restrictions on which providers can prescribe these therapies,” Bernstein noted.